The NYLT course centers around the concepts of what a leader must BE, what a leader must KNOW, and what a leader must DO. The key elements are then taught with a clear focus on HOW TO. The skills come alive during the week as the team goes on a Quest for the Meaning of Leadership. 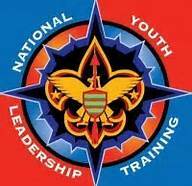 NYLT is a six-day course held at Camp Redwing, patterned after a month in the life of a unit. Content is delivered in a group and team outdoor setting with an emphasis on immediate application of learning in a fun environment. Scholarship applications are available: Application must be received by May 15th (Summer course).